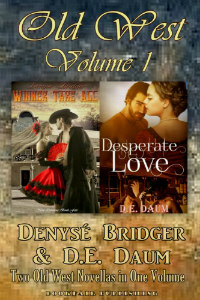 Well-bred and genteel, Valerie Johnson travels from Boston three thousand miles by train and stagecoach to join her husband in Virginia City, Nevada, only to discover she is a widow. Out of money, unable to find respectable employment, she accepts a temporary position as a courtesan at Rosie's Parlor—an elegant Virginia City brothel. Ultimately she is rescued from the ‘Sporting Life' by Duke Dugan, a rebel captain who, along with his two brothers, is on a desperate mission for the despised Confederacy. She would tell the authorities, except there's one problem—she's fallen in love with him. Well-bred and genteel, Valerie Johnson travels by train and stagecoach from Boston to join her husband three thousand miles away in Virginia City, Nevada, only to discover she is a widow. 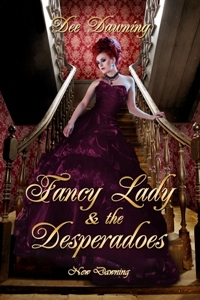 Low on money, unable to find respectable employment, she accepts a temporary position as a courtesan at Rosie's Parlor—an elegant Virginia City brothel. Fascinated by the beautiful, flaming-haired prostitute he calls Red, Duke, wishing to learn more about her, takes her to dinner in Virginia City's finest restaurant. To her dismay, Valerie finds out that Duke is a rebel captain, who, along with his two brothers, is on a desperate mission for the despised Confederacy. She would tell the authorities, except there's one problem—she's fallen in love with him.